Monteforte d'Alpone is a municipality in the province of Verona, located on the border with the territory of Vicenza, at the mouth of the Valle d'Alpone. The city's economy is mainly based on the cultivation of the vine from which it obtains an excellent Soave, thanks to the particular composition of the soil, the climate and sun exposure of the lands. The area was inhabited since Prehistoric times, later colonized by the Romans, who attributed to the settlement, the role of control and protection of the nearby Via Postumia. After the fall of the Roman Empire, the territory found itself exposed to repeated attacks by Barbarian invaders, including the Hungarians. The first main centre built belonged to the Accounts of San Bonifacio, while later it was granted to the Bishop Adelard and his successors. 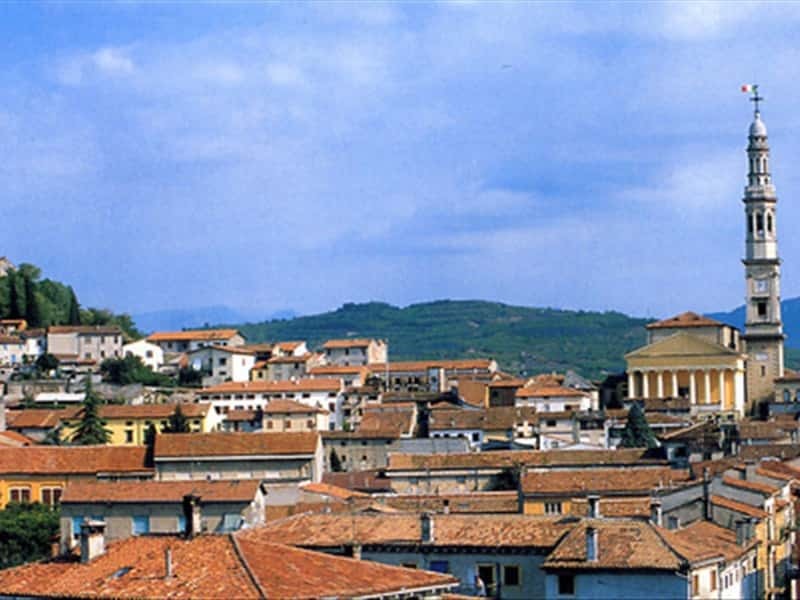 The domain of the Church lasted until the XVIII century, while in the early XIX century, Monteforte was enriched by the districts of Costalunga and Borgnoligo that, until then, were administratively autonomous municipalities. - the XIX century Town Hall. This town web page has been visited 30,133 times.